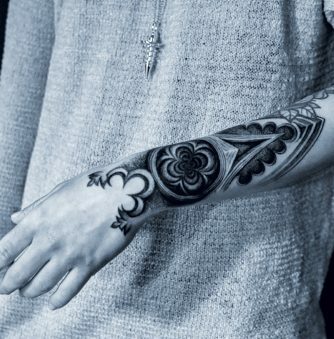 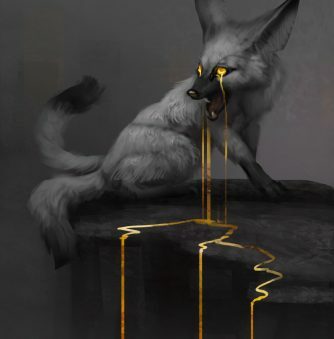 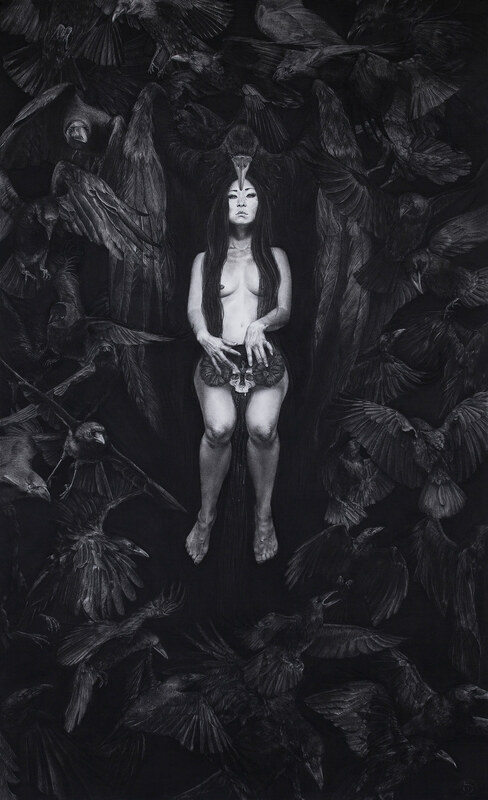 Stephanie Inagaki is a Southern California–based fine artist and metalsmith. 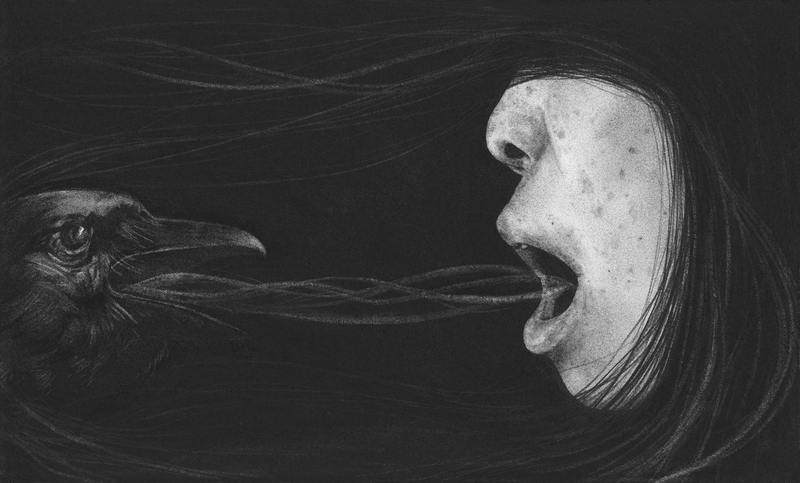 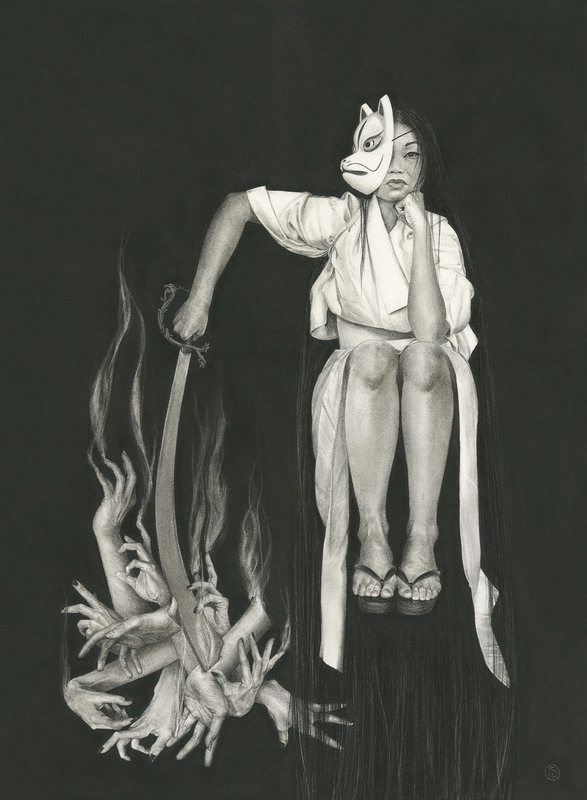 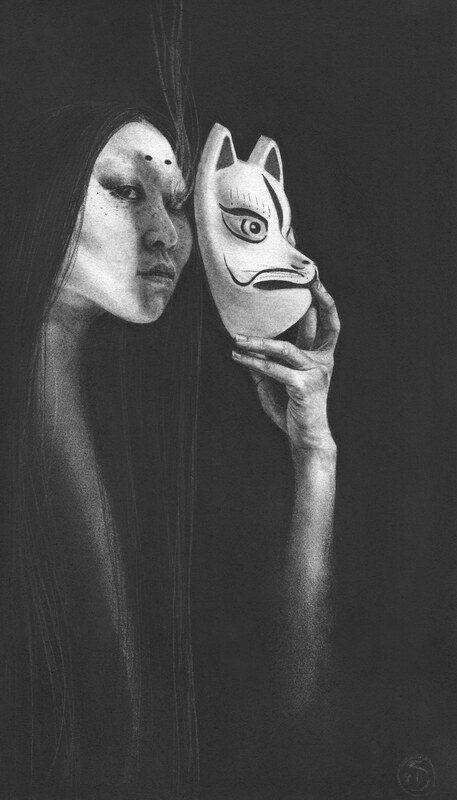 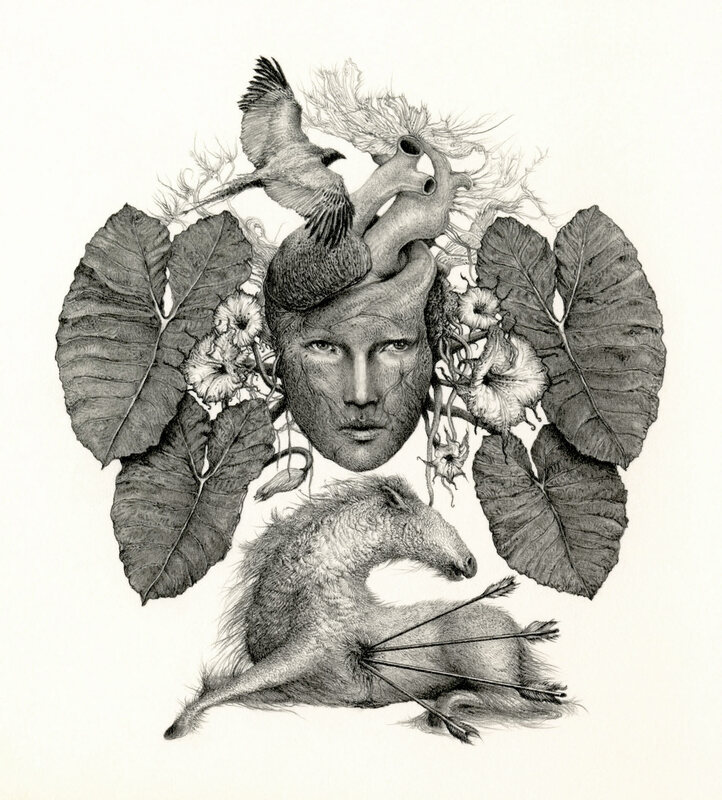 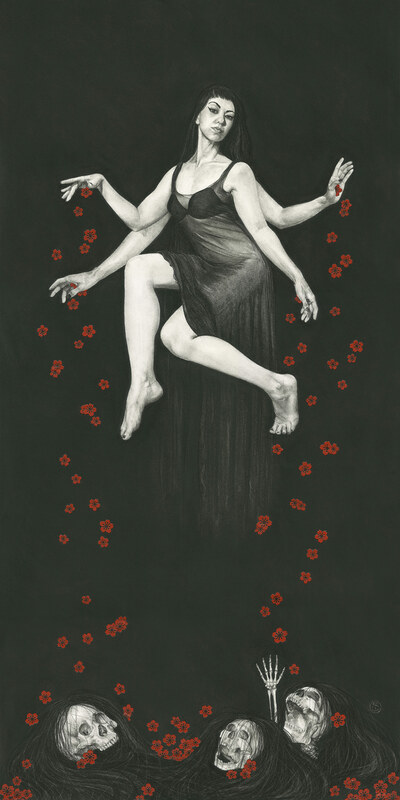 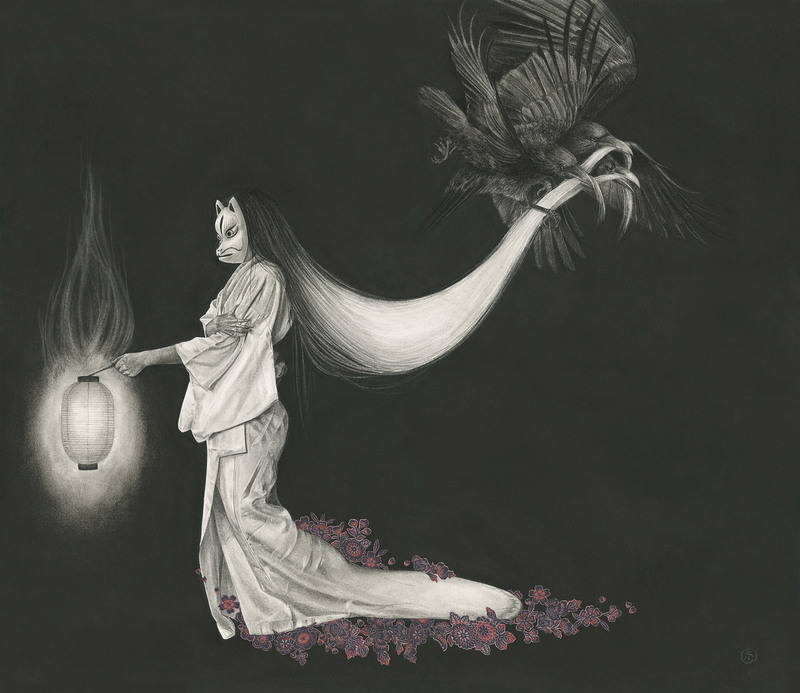 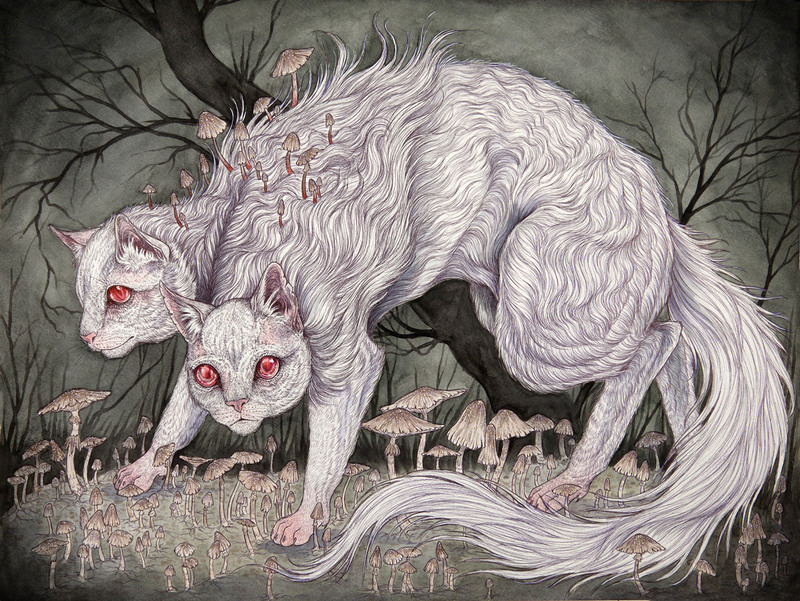 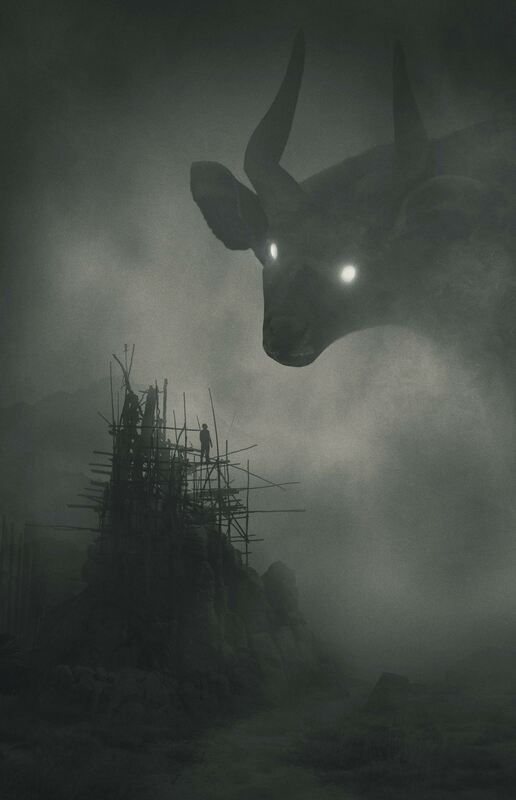 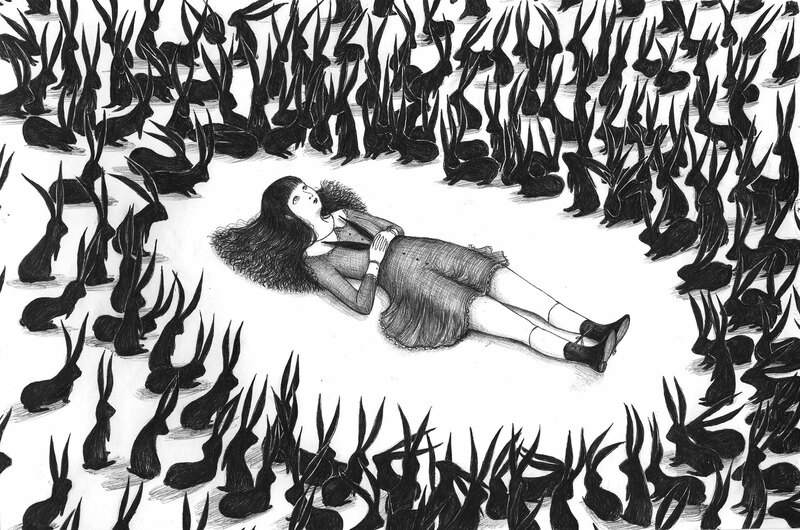 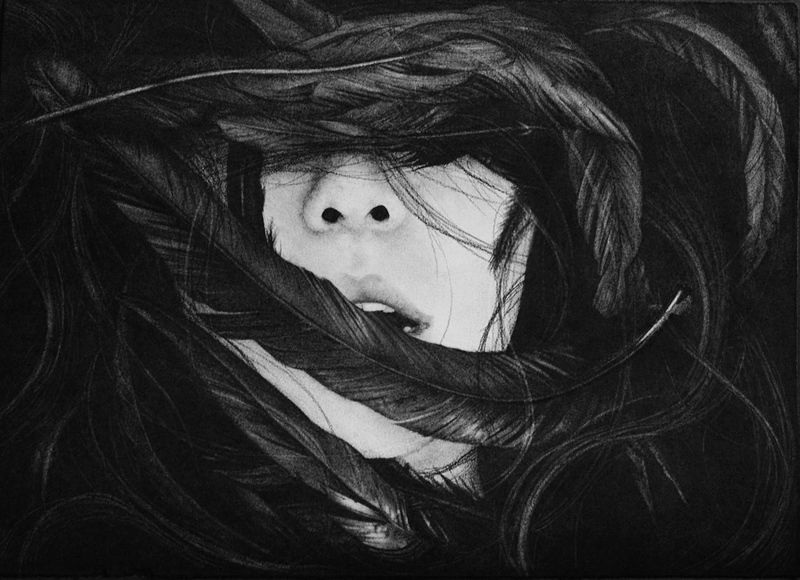 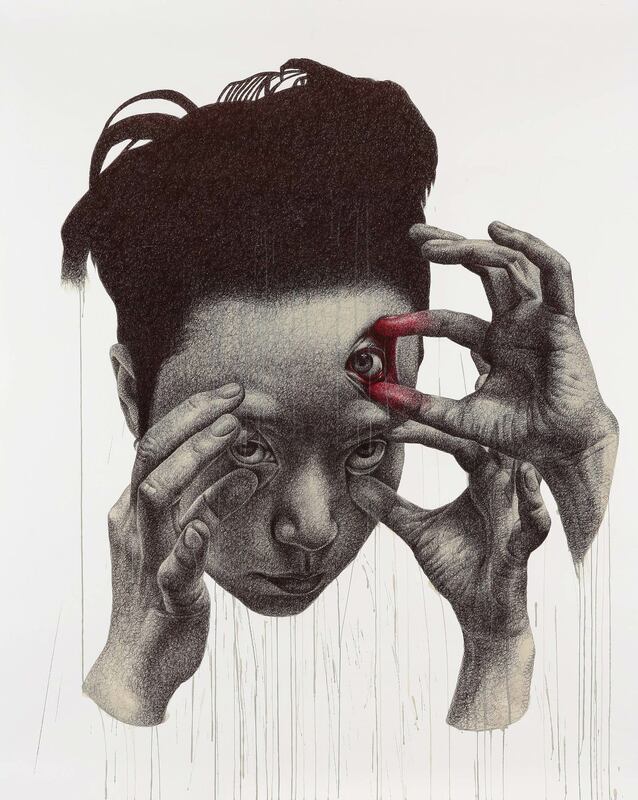 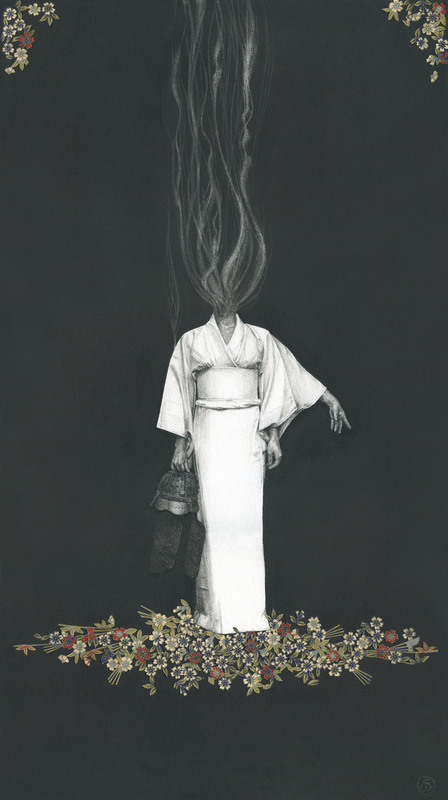 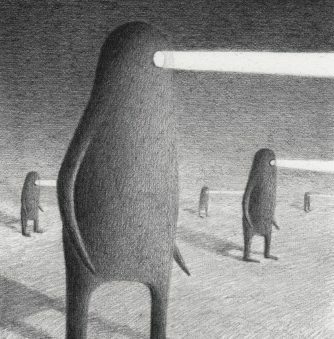 Her charcoal drawings are dark, poetic fusions of self and myth, drawing especially from Japanese folklore. 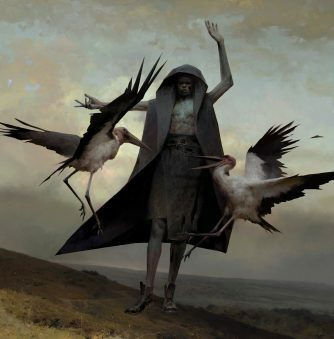 The female subjects—which are often representations of herself—merge with crows and supernatural monsters, their bodies transmuting into uncanny hybrids inscribed with ageless mythologies. 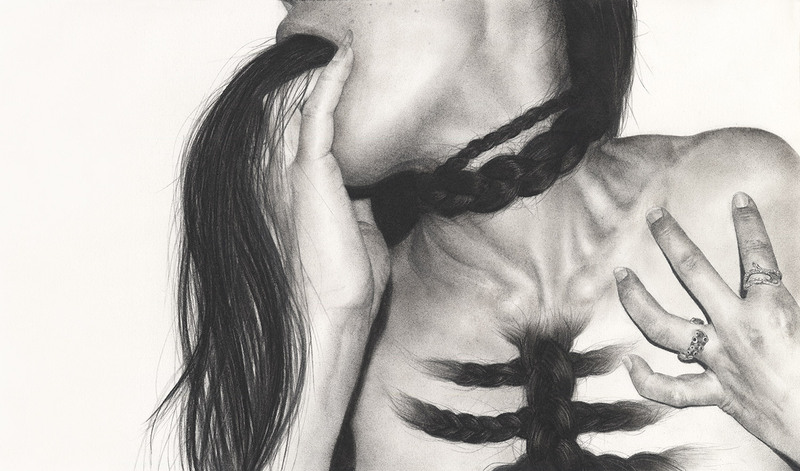 A particular emphasis is placed on hair as it ropes and proliferates, representing a fluctuating symbol of both fragility and power. 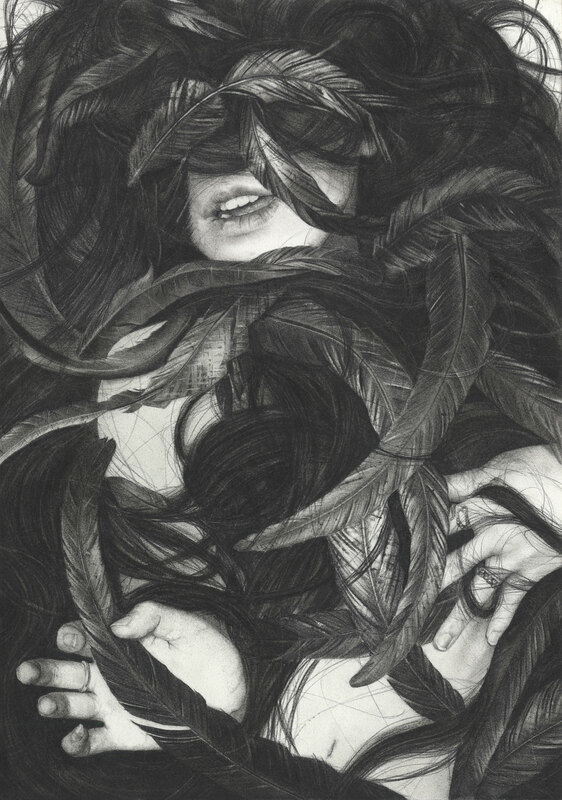 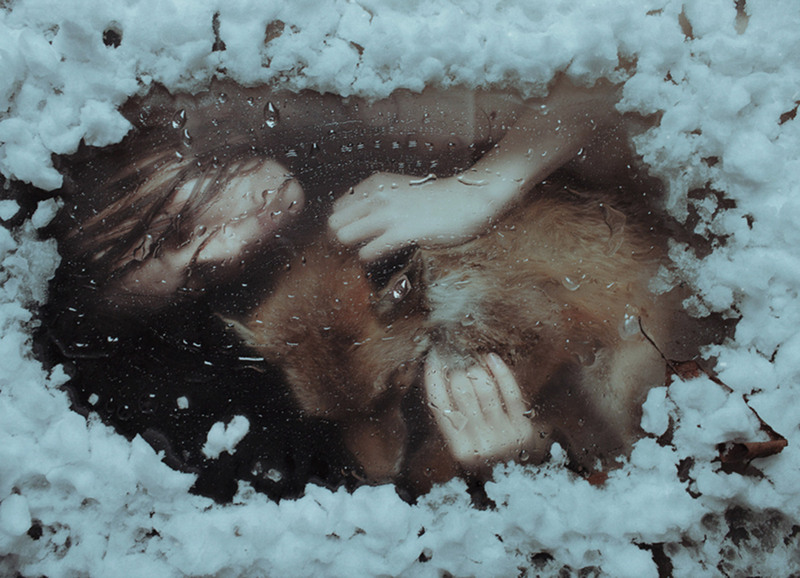 She believes that by following the human desire to assign meaning to objects, ideas, and moments, we may understand our personal and collective histories and thereby move forward in our lives; “by contextualizing the female body, hair, feathers, and crows into surrealistic compositions, I am creating my own mythology through these corporeal re-imaginings,” she explains. 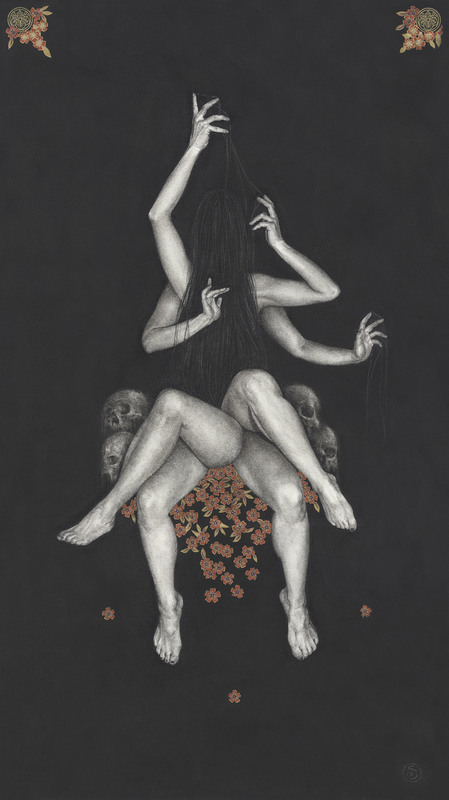 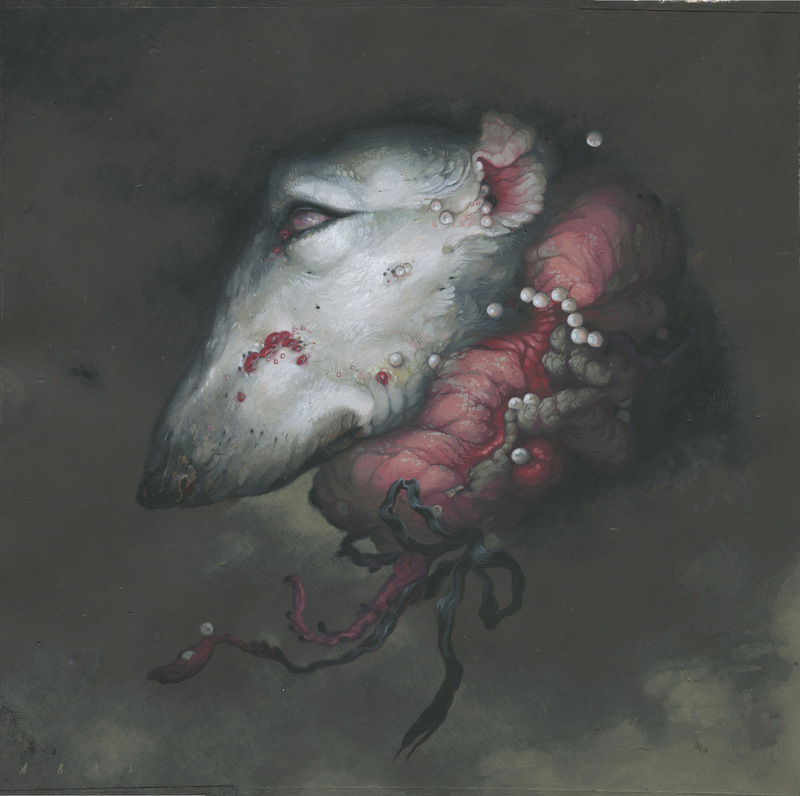 Inagaki is also a maker of macabre jewelry and accessories, which you can see on her page, Miyu Decay. 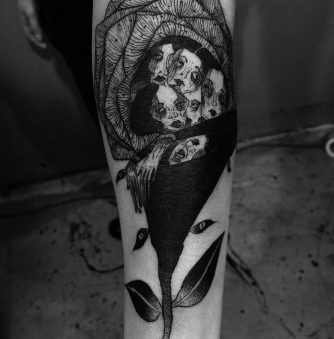 Visit her Instagram for more.